Friends, you must know how many personal blogs are available on the Internet. So you have wondered why these websites are on the internet why a person makes these websites. So now I tell you why these websites are on the Internet, there is a direct reason to make money, yes, friends, money. You must know about Facebook, Amazon, Flipkart, Snapdeal etc., so where is the money from which to earn money directly from the websites. And these websites are not ready like this, but they have to use a lot of programming language such as PHP, Html, Python etc. – So let us now know what is PHP or Python? The complete form of PHP is Hypertext Preprocessor. This is an Open Source, Server-Side Scripting Language, which means that whenever you create a website, you need an Open Source Server for hosting the website. Now the question arises in your mind why we use PHP. So let me tell you that PHP, which is a Server-Side Scripting Language, generates Dynamic Web-pages. If you run the Internet, you will know that there are two types of websites on the Internet. Python is a programming language with the help of which we can create or write any program on the computer and it is a language that is used by General Purposes i.e. you have to create a specific application then you can use Python. Python Language is an Interpreted Language Now you must be wondering what is this Interpreted Language? Actually, the Interpreted Language is a language where our written line of work is line by line i.e. Step by Step. If we talk about popularity then PHP is more popular than Python. If we talk about readability, Python is much more readable than PHP, because Python’s programs are very understandable, but PHP’s programs are a bit tricky. 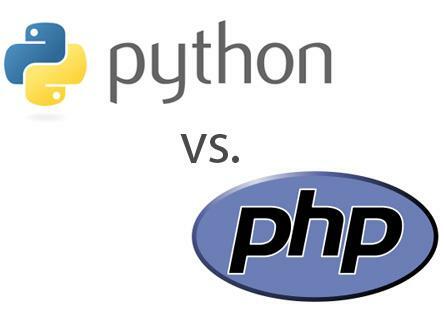 If we talk about security then Python is much more secure than PHP. If we talk about Functional Programming then Python Language supports Functional Programming, but PHP is not at all like this. If we talk about performance, then PHP’s performance is much more than Python because PHP’s program is executed at once, but Python’s Program Line by Line Execute, and this is why its performance is less than PHP. The Google search engine has become smarter than ever before. If you want to move your website or blog to the top in Google search result, you have to follow the latest SEO and Google ranking factors. However, when Google ranks a page, it uses a lot of ranking factors. 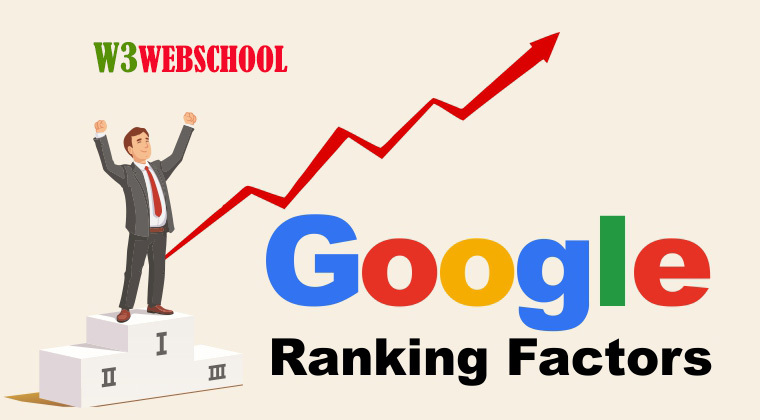 Here, we have created a complete list of Google Ranking Factors, which can easily take your website or blog to a new height. Google announced in August 2014 that HTTPS (SSL Certificate) will be considered as a Ranking factor. In August 2017, Google Chrome began marking those sites as Insecure, which did not use HTTPS. So it indicates that Google is now doing HTTPS as a Ranking factor, and the sites which HTTPS will use will rank well in the search engine. Today’s era is from a smartphone, and more than half of the search is from a smartphone. Therefore, Google took the first step to improve mobile-friendly search results. And finally, mobile-friendliness offered as Google ranking factors. To determine if your site is mobile-friendly or not, Google has also developed a Mobile-friendly Testing Tool. Google’s Matt Cutts has confirmed this video. The difference between the year and the six-month-old domain is not really so great. Domain age is only seen for new websites because they can be spam sites or it is only developed to spread spam. The H1 tag helps the search engine find out what your page or post is about. These heading tags in HTML help us to understand the structure of the page. Note: H1 tags help boost your Google ranking. But keep in mind that does not fill your entire content with the H1 tag. Google uses website loading speed as Google ranking factors to give a better user experience to its users. If your site’s loading speed is very good, then Google will give your content top rank. Apart from this, users will also like to visit your site. Breadcrumb helps users know where they are on your site, as well as help search engines understand your site’s structure. In an article, we told you how to add breadcrumbs to the WordPress site. Google Search uses breadcrumb markup in the body of a web page to categorize the information from the page in search results. The search engine uses your content’s title, meta description, and URL to determine what the content is about. Make your URLs short and meaningful. Also be sure to add Target keywords to it. Backlinks is a very old Google ranking factor that Google uses to rank content. Backlinks can make a big difference in your Google search ranking. It can take your ranking up to a new height or bring it down overnight. Backlinks are very important to increase domain authority, Google website ranking, and website traffic. If you create bad backlinks for your site, these backlinks can badly hurt your website ranking. So always create high-quality backlinks for your website or blog. This is the most important factor in Google Ranking Factors. No matter how good SEO or why you do not, your content will not be able to rank in Google. Simply put, if you do not write informative blog posts on your site, then you are doing garbage on your blog and nothing else. Always try writing unique and quality content. In addition, your content should be interesting and Evergreen. If you write short posts on your blog, your post should be at least 1000 words long, without nonsense. Along with good content, you should also come across keyword research. Without keyword research, you can not get top rank in Google or any search engine. This is an important part of SEO. Keyword research is not a difficult task. There are many great tools and websites that you can use to find the best keywords. Always choose Low Competition, High Searches, and Long Tail Keyword for your content. Meta description technology is not a Google ranking factor. But it plays an important role in increasing Click Through Rate (CTR) on your content. However, Google generally allows writing 300 characters for Meta Descriptions. According to SEO, a title that begins with a keyword gets a better rank in the search engine. Also, the length of the title should be 50-60 characters. Google does not have the ability to read images, crawls alt tag to know what the image is about. That’s why you should use the Meaningful name in your image. Alt text works as anchor text for images. Proper grammar and Spelling improve your article quality? Matt Cutts has a video on it which is telling, whether it is important or not. If you use media (images, video, and infographic) in your content, it makes your content even more useful and engaging. Simply put, a media can interpret 1000 words. If you publish posts on your blog regularly, then both your ranking and reader will increase. But your content should be informative and useful. Internal liking provides both relevant search engines and users with relevant information about your content. If you use internal linking, it makes your post even more informative. In addition, visitors spend more time on your site, which reduces the bounce rate. Google also treats your content as quality content. Are you looking for the best WordPress SEO plugin for your WordPress site? Here we list some of the best WordPress SEO plugins, with the help of which you can easily improve your website SEO and get a higher rank and more visitor in search engines. Well, you all know that what is SEO? SEO is extremely important for any website and if you optimize your site SEO well, then you can get lots of traffic from the search engine. But if your website or blog is on WordPress platform, then here are some of the best WordPress SEO plugins you can optimize SEO by installing on your blog or website and get good organic traffic from Google search engine. WordPress is considered the best SEO friendly content management system, because it makes your site optimizing process easier. You can add Meta description to the homepage. You can add Meta description in a single post or page. Can add meta description for social sharing. Edit your Robots.txt and .htaccess file. Create a sitemap for your site. This is the alternative of Yoast WordPress SEO plugin. You can download All In One SEO Pack plugin by visiting the WordPress plugin page. Additionally, it provides an on-page setting which makes it easy to set up. All In One SEO Pack offers you all the features like Yoast WordPress SEO plugin. WP Meta SEO comes with many useful features and functionalities that help make your content SEO friendly. WP Meta SEO‘s Dashboard SEO overview provides what is optimized for your site SEO. It displays percentage score for permalinks, meta title, meta description, wrongly resized images, image metadata, new or updated content, link titles and 404 error pages. Squirrly SEO is for non-SEO experts who help to ensure that your content is optimized well for both search engines and readers. SmartCrawl is another premium SEO optimization plugin that has been developed by WPMUDEV. It helps boost your PageRank and traffic. SmartCrawl has all the SEO features that are needed for your WordPress site – one-click setup, keyword auto-linking, sitemap generator, improved social sharing, content analyzer, and regular scans and reports. This is a simple and powerful WordPress SEO plugin. It has been developed by Mervin Praison. The setup of Praison SEO is very easy and it is perfect for beginners and advanced users. Recently, MyThemeShop has launched Brand New Rank Math SEO plugin for the WordPress user. You can download it for free. 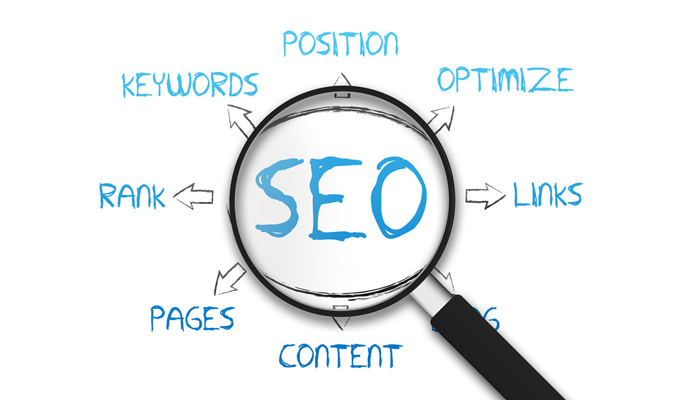 It offers dozens of SEO features to optimize your website content. Here we have told you about many WordPress SEO plugins and you can use any one of them to use on your blog but in all these Yoast SEO and All in one SEO Pack are very popular. The full name of PPC is pay per click. As the name suggests, pay per click means pay per click. This is an internet marketing model in which the advertising industry gives some funds for every click on the AD. This is a method you can use to buy some Visitor for your blog, and you pay the advertising company in exchange for that visits. When you use Google, you will see that as soon as you are searching for something, some links in the search result will be written by AD. This is a display-based payment model, if your ad is not clicked, you do not need to make any payment. In 1998, a new company goto.com started pay per click in 1998. The idea of PPC advertising model was goto.com’s founder Bill Grace and the idea lab company. 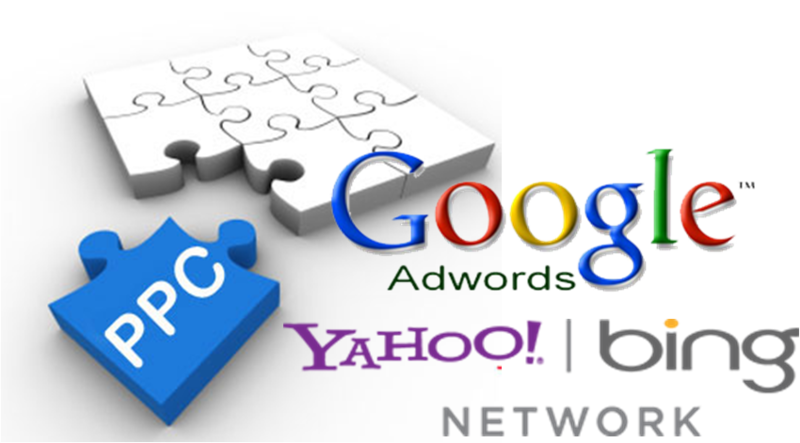 Google started pay per click in 1999 and introduced AdWords in Oct 2000, which is today a leading advertising company with pay per click. Although PPC could only be introduced in 2002, payments were made for advertising per thousand dollars according to that time. Provide Fast Results: If you have created a website today, even if it does not have SEO, you can still rank your website in Google’s first page using Google PPC means PPC Fast Results Provides. Cheaper Than Traditional Marketing: PPC is about 90% cheaper than Traditional Marketing because today is the time of Internet and there are many such websites on the internet where there is a lot of traffic and you can show your ads on those websites. Sell your products or services. Independent From Google Algorithm Changes: Google Algorithm has some changes from time to time, so that the ranking of websites increases or decreases, but there is no effect on PPC. Reach the Right Audience: You can target your Desired Audience from PPC, and you can sell them to your products and services, you can also target a particular location by PPC, according to your own words, Keywords, Location, Website, Device Target, Time and Date. Budget Friendly: You do not need to spend millions of dollars on putting PPC on your ads, but you can start your own business by putting PPC on low budget. Determining the value of each click on PPC depends on which country the advertiser expects to get from the country and what type of visitor it can get. Factors affecting the cost of PPC advertising. If you advertise your blog through your blog’s pay per click, its value depends on the fact that you want to get a visitor by saying. If you want visitors from India, Nepal, Bhutan, Sri Lanka, and Pakistan, you will have to spend less money per click. But if you want to visit the Western countries of America, UK, through the visitor pay per click you may have to spend more money. The second factor for determining the value of pay per click is a keyword. You want to show your blog when searching on which keyword. This thing also depends on the value of your PPC advertisement. Just like if you want to advertise your blog with the term insurance, loan, software etc. you can read more to spend more money. It means that if you advertise your blog with high CPC keyword you will have to spend more money. What Is Keyword Frequency & Why It Matters? 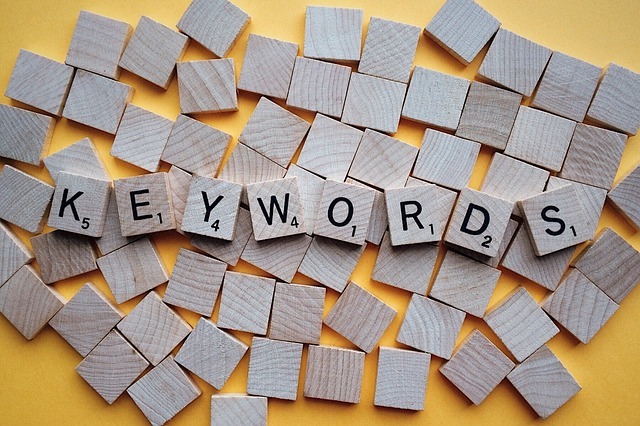 You may have come across the term ‘keyword frequency’ while working in search engine optimization or as an AdWords advertiser, trying to grow your business. What does the term mean exactly, and how does it work? You’ll get all your answers in this article. Keyword frequency is how many times or how frequently a specific keyword appears on any given webpage or within a piece of content. The more frequently a keyword appears, the higher the keyword frequency is. SEO or Search Engine Optimization is the practice of affecting the visibility of any website or web page in a web search engines unpaid results, which is referred to as natural or organic results. The higher a website appears on the search results, the more visitors it will receive, who will later be converted into customers. And this is where the work of keyword frequency begins. In order for a website to rank organically in the web search results for a specific keyword, it needs to contain that specific keyword. This is where you need to be aware of your keyword frequency. If it is too low, your website or webpage will have trouble ranking if the keyword frequency is too low. Search engines such as Google scans your content to decide whether your content is truly relevant to the keywords used in the query. However, there is a certain black hat technique known as ‘keyword stuffing’ which is basically stuffing a content with keywords, turning the keyword frequency unnaturally high, sending a negative signal to the various search engines. Such techniques should be avoided. Keyword frequency is not only important when it comes to organic search results. It plays an important role in paid search ads as well. If your keyword does not appear in your ads, then it will be read as less relevant to both search engines and searchers. It will lower your click-through rate and quality score, significantly increasing your costs. But here too, like in SEO, too high keyword frequency can be harmful. Strong AdWords ads typically repeat the keywords only twice. It is important to keep the balance when it comes to keyword frequency because users are more prone to ignore ads that are stuffed with keywords. The terms Keyword frequency and Keyword density are technically different terms for the same principle. Both these terms essentially refer to the frequency of the keywords appearing on any given webpage. Both terms mean same and can be interchanged while using. There are no set rules when it comes to Keyword frequency. Newcomers to the world of SEO and PPC look for guidelines and rules about it, but there are none. Instead, there are few general guidelines that you may follow. There are many SEO professionals, according to whom, a keyword should only appear once every 200 words of copy. Meaning, you should only use a given keyword once every 200 words in your content. This rule also applies to the different variants of the same keywords. It is important to consider the user experience while thinking about keyword frequency. Whatever the product may be, the content must be easy to read and understand. Including awkward and forced keywords will only ruin that easy experience for the user. The keyword frequency can be calculated numerically as well. For example, a 1000 word blog post that has 10 unique instances of a keyword will have a keyword density of 1%. Even though Keyword frequency is important when it comes to the visibility of your website or webpage, it is only one among many factors. 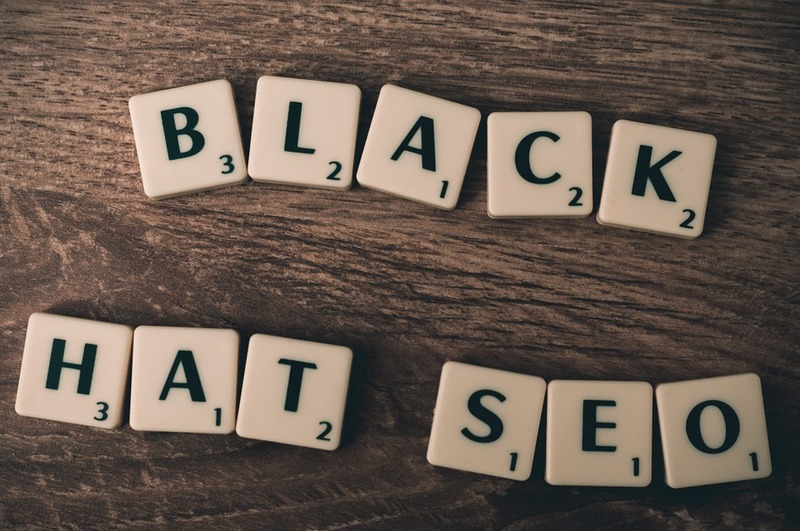 Before the search algorithms became more sophisticated, it was easy for the websites to get away with keyword stuffing; the black hat way of manipulating a page’s rankings. But in the present, these techniques have become useless, and harmful even, for those who use it. If you want to start your career in Digital Marketing then W3webschool is the best institute in Kolkata, India. W3webschool is a full-Service Digital Marketing agency. Also, it is an Institute for Professional Courses such as Digital Marketing, Web Designing & Development. They have a team driven by the passion towards the Digital Media and Marketing. We have trained over 500+ of students by providing sessions in Online and offline training. We are very proud of the “W3Web School learning experience” with a 98% pass rate on all courses. In our organization, each student learns using their own thirst of knowledge with diverse teacher support and guidance. All of W3Web School classes are 100% guaranteed; our students receive post-training telephone support through Communicative software (like Skype) at no cost for lifetime. Our student intelligence and work knowledge is our plus point for the growth of our organization and expansion of its name. If you are still a job hunter or want to improve your skills then join W3webschool. We are the best Digital Marketing Institute in Kolkata. W3webschool offers Digital marketing training in Kolkata and Online Digital Marketing Course In India. 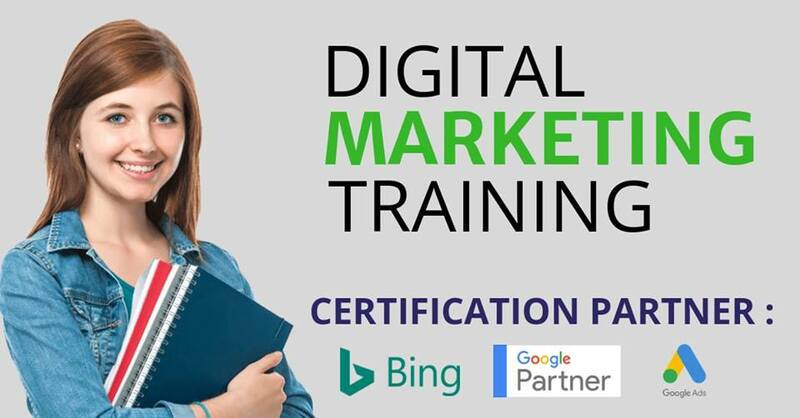 Learn different digital marketing modules and expertise to enhance your marketing skills. At Kolkata we are providing the best opportunity to students, marketing professionals to take this course and be successful in boosting their career. Quality: Unlike other competitors who seem to focus on quantity of students rather than teaching quality, W3webschool offer the right IT courses you actually need rather than an inflated list of courses, many of which you will never use so be careful a little knowledge is a dangerous thing. IT Specialists: We concentrate solely on PHP Training, Word press Training, SEO Training, Web Design Training, and Digital Marketing Training courses. We are a team of IT courseware specialists. W3webschool Providing high-quality training at affordable fees is our core value. We offer classroom and Online on niche technologies which are in high demand. All our trainers are IT professionals with rich experience. We work with our students in developing the right skills they need to build their career in the present competitive environment. We have flexible batch times to suit the timings of graduating students and working professionals. “Digital Marketing Courses in Kolkata” at W3webschool is perfect for you. 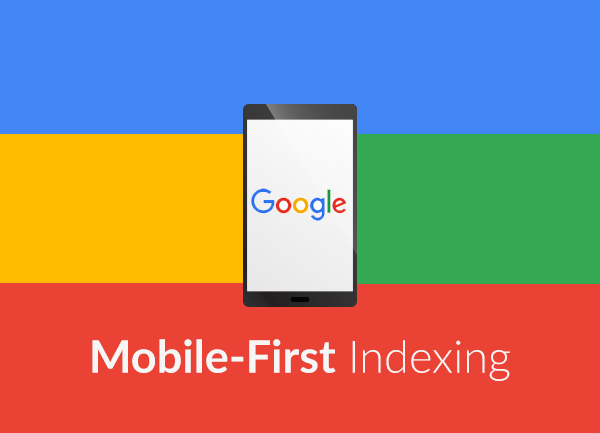 Do you know what this Mobile-First Indexing is? Why Google is giving more importance to this new SEO update. If you are a blogger or have your website then you should know about this Mobile-First Indexing topic. There is a lot coming in now that Google has recently included Mobile-First Indexing in its latest development to make the website more mobile friendly so that these users can reflect the behavior trends. The number of day-to-day mobile users is increasing, if we compare it with desktop traffic. Over half of all internet users use smartphones and tablets to see something on the internet. This is because mobile or smartphones are more user-friendly. By the end of 2020, about 85% of the global internet traffic will keep coming from mobile. All of this knows that Google has been paying a lot of importance to mobile phones. Mobile is the most demanded thing about nowadays. But due to the occurrence of only one mobile site, all your issues are not lost. Yes, we cannot deny that mobile sites have now become a cornerstone content consumption and shopping. Now people are getting a better buy decision from mobile searches, which are increasing their buying intent. Now the matter arises whether our site is also ready for Google’s Mobile-First Indexing? Because if not, then in the coming time both of them will be back and forth in traffic and in the traffic. Mobile-First Indexing means a site that is very mobile friendly, users have the ability to view it from their mobile, and that’s why Google indexes these sites more quickly. Considering the consumption of users, Google found that most users prefer browsing the Internet from their mobile. In this case, whatever site is more mobile friendly; they provide a better browsing experience to users. Therefore, Google also indexes such sites as quickly as possible. As well as ranking, your website’s mobile version holds more importance for Indexing. If you monitor the crawl bot traffic of your site, you will find that traffic of Google bot has increased significantly and cached versions of pages are often the mobile version of the page. This is called “Mobile-First” because it is not only a mobile-only index: For example, if a site does not have a mobile-friendly version, then the desktop site is also indexed. But due to lack of mobile-friendly experience, it significantly negatively impacts your site’s ranking, and in the site where there is a better mobile experience, it gives more rankings boost, even if the searchers are not doing it on the desktop. Remember that the desktop site was considered to be the only primary version (similar to a canonical URL) and the mobile site was seen as an “alternate” version in the case of a site. That’s why Google is encouraging webmasters to get a separate mobile site (m.domain.com) from which they can implement switchboard tags (this represents the existence of mobile URL version using a special rel= alternate tag) Of Google probably will not crawl and cache more mobile versions of your pages, but now display the direct mobile URL in mobile searchers. Why was the Mobile-First Indexing brought? Google’s Mobile-First Indexing announcement is very big. This will keep changing our content creation and its optimization in the coming time. They will also change the view of using these content. But in the end, what is the biggest question and why was it brought? 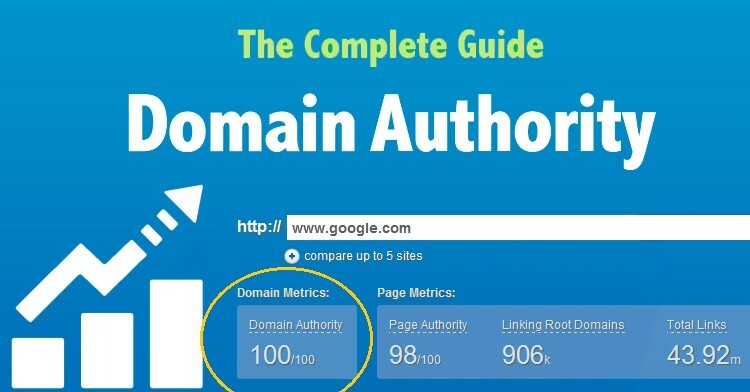 A simple brief description of this, Google will index its website prior to indexing, or ranking it according to the evaluation and relevance of any website. Why? That’s because, according to Google (as well as a lot of other studies), mobile traffic has surpassed the desktop traffic in Google. As we know, Google’s entire business and foundation stand at a simple principle: Users should be provided with accurate information as soon as possible. For example, when you are searching for something like “Birds from the angle are found in India,” then the search engine will give you all the information in a well-curated form, too soon. It means perfectly optimized images, with fast page speed, and such a formatting of text that the user should not have problems while reading it. For this reason, Google wants content to be fast and effective. To meet this demand, Google can’t index only desktop sites where the majority of traffic comes from mobile. With this, the user experience will be very bad with search engines and they will be forced to search for other search engines, which Google will never want. To do all of this, Google is constantly developing developments in its SERPs. With this, Google is making its platform more user-friendly. But this is not a change which is called “mobile indexing”? Because Google is not solely switching to Mobile Indexing only. This means that it is only “Mobile-First” Indexing. This means that as a blogger you do not need to completely scrap or slacking the desktop version of your site. What should I do for Mobile-First Indexing? The first thing that you should understand is that you do not need to panic at all. That’s because these changes are currently in their initial roles, say, in the testing phase. Slowly this will only target these websites, which Google considers to be ready to accept this change. But even then it will not be affected too much. Starting as low as possible and starting with minimal impact. According to Google, if your website is responsive or otherwise identical in desktop and mobile versions, then there is no need to do anything else or another way (in this it is assuming that you are happy with your current ranking Are). With this, if your site is also a fully responsive site, you have to pay attention to whether your mobile page speed and loading time is okay or not. It will have to be much prioritized. Also, images and other dynamic elements will also have to be properly optimized for the better mobile experience. Note that in Mobile-First Indexing, the content that has been collapsed or hidden in tabs etc. will not be treated separately due to space limitations compared to visible content (which has already happened), That’s because this type of screen real estate management is considered as a better mobile practice. Two very common solutions that people always use in their mobile websites are mobile-responsive and mobile-friendly sites. Although both are very similar, there are some major differences in both of these that negatively affect your SEO Mobile-First index if they are not used properly. 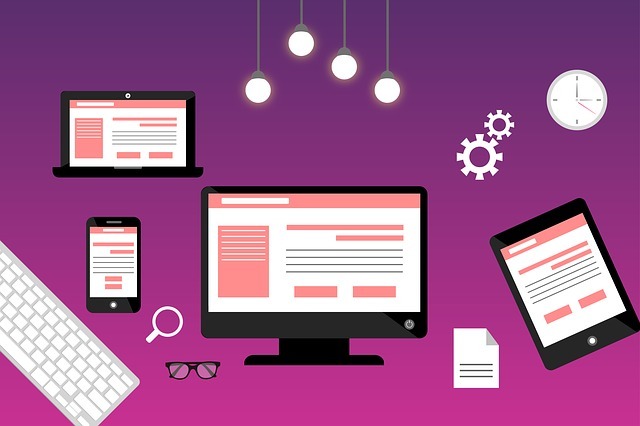 Mobile-responsive sites (or dynamic servings sites) include their primary content, including text, images, video, and other page elements, dynamically sync between desktop and mobile site. Google prefer more responsive web designs because these servers always allow the same HTML code to send all the devices. 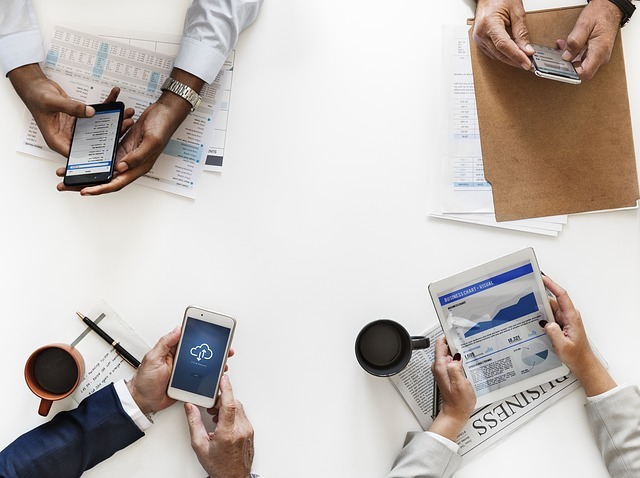 Responsive sites virtually eliminate many common mobile user experience issues such as pinching, zooming, squinting, and all other annoying functions that you may have ever encountered while using mobile. For example, you cannot even see the image you want when you turn your mobile into landscape mode. This is a type of sign that this website is not mobile responsive. In other, mobile-friendly sites, you can see issues related to many such common user experiences. Mobile-friendly sites allow your content to be dynamically changed when you are viewing it in a mobile browser. But this does not mean that your content is responsive. This means that you cannot see the desktop version of that site in mobile. Rather you can only see a functional mobile site in which the page elements are still going to be affected. In today’s time, many devices are coming in different shapes and sizes. In such a situation, it is not easy to make all the devices mobile friendly, because their size and ratios have to be kept in mind too. Whether it’s tablets, or mobile, smartphones, so many devices. Mobile-friendly is not the answer to all this. According to Google, if your site is mobile-responsive, then you can go ahead with others in this Mobile-First Indexing. Congratulations to those whose sites are Mobile Responsive! Since you do not have to do any extra work, the only site has to be maintained, so that your content is dynamically updated perfectly mobile. But if you are using a mobile-friendly design, then you have to update the content according to which the score can be higher in the Mobile-First Indexing. 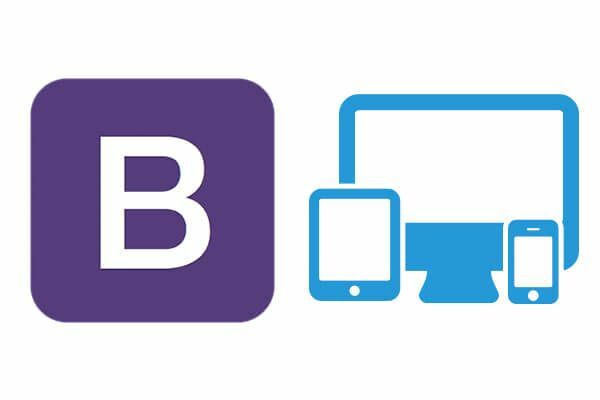 What is Responsive Web Design and Why Is Important For Digital World? In the future more people are going to use mobile phones than computers, rather they are just starting, and this is the reason that you are here. Many people prefer their mobile phones daily for online activities such as their email, chat messages, online shopping etc. By considering this, many bloggers have to secure their position for the future, they should enable a mobile-friendly responsive template or smartphone website template for their Website and blog. As well as increasing the number of smartphones and mobile devices, a problem arose that web designers could not accurately show a fixed-width website on different size screens. In order to tackle this problem, web designers took a path that created separate sites for desktop and mobile devices. But this path was not so easy, creating different versions for every screen size and resolutions was an impossible task. If different versions of a website were created, its maintenance cost would also increase and different jobs for SEO and SEO ranking would have to be done separately. Responsive web design is a process in which the website is designed in such a way that it adjusts its layout according to the screen size and orientation, from desktop, laptop, tablet to mobile devices with small screens. Why Important Responsive Web Design? According to the survey done by StatCounter.com in the G20 countries, the highest (about 80%) people in India use mobile devices to access the internet. With this figure, you can understand that if you do not use a mobile-friendly website in today’s time, you will not be able to access your website up to 80% of the people. Mobile traffic will increase: If your website is responsive, then it will be like mobile visitors and this will increase the traffic of the website. Google also recommends: RWD likes Google because the URL of the responsive website is the same for all devices so that Google has the ability to index and understand it to crawl it. The size of elements of most websites is set in the pixel which is fixed, but instead of setting the height and width of the website layout in a pixel, we use percentage, according to the fluid grid. The size of the fluid layout is defined in the percentages so that it can resize its height-width according to any screen size. In order to create a flexible image, we have to define its size in CSS from percentage, for which max-width, max-height property must be used. Digital Marketing is becoming the most trendy marketing buzzword with businesses seeking to try this marketing and advertising form out. According to Consultancy, content marketing has doubled as a search term in the previous 2 years that serves as a sign of in popularity too. While any business can and should invest in a content strategy that is marketing funds in cases, effort and time, not all brands are getting it and the result is implemented campaigns which don’t actually work. Here. Clearly sharing and posting regular articles or content pieces on a website or your business blog is a facet of the content marketing strategy of any brand. It’s right at the core, but it’s significant to realize that your content strategy can’t end there. It is going to be essential to spread the content out too unless of course, your company is lucky to boast a profitable website or blog that enjoys traffic. This may include plans to syndicate content or to guest blog for businesses to directories and other websites. Digital Marketing, exactly like every advertising plan needs to be monitored so as to establish its effectiveness and if there is an ROI. Neglecting to do so could mean that your brand can be spending time and money on efforts that might not be delivering and that could, therefore, be better spent in other locations. Having a clear idea of what’s and isn’t working may also help the articles management team to consider ways wherein the contents on publication protocol may perhaps be altered to perform better. While the social network is a necessary part of all content strategies, it’s essential for brands not to get carried away with notions of amazing viral success. While it’s true that apparently obscure articles can and does go viral online, it’s nearly constantly more an indication of the quality of the articles than the social nature of social networks by themselves. Rather than blindly sharing content via a social network in the hope which someone will notice, use the info you’ve about your fans and subscribers to create content that may stand out in their feeds. Content advertising is about creating original branded articles that may be shared and consumed by your intended market and beyond and may either serve as pure entertainment or be as serious as a valuable resource like a whitepaper or eBook. Note however that branded content doesn’t necessarily mean articles which revolves exclusively around your brand or aims to be overtly promotional. Are you confused about choosing a career as a web developer or a designer? Do you have creative minds and apply your creativity to designing and developing awesome websites? 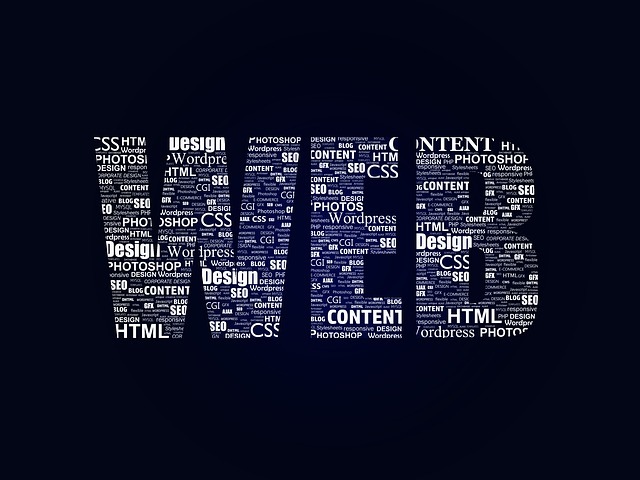 Due to being a web designer, look for some top reasons. If you want to start your career in this area, feel completely free to join our web designing course with practical risk and improve your skills at the next level. You can create and develop beautiful websites using different tools and resources available to satisfy your customers. Although there is a lot of skill required for website designing, it is easy to get them with quality training. Experienced professionals can provide you with appropriate web design training to gain practical knowledge. You can learn programming languages and can improve your skills on the latest web development tools and technologies. The web design industry is growing – the web designing industry has a good growth rate and if you look at the figures in the last few years in development then you will get demand and development are on the upside. Since Internet users are increasing day by day, any of the websites is growing and the demands of creative designers like web designers are increasing day by day. Work as a freelancer – a web designer can also work as a freelancer. Once you get good knowledge and create a good portfolio client then you start contacting for your work and support and you also have the option of working as a freelancer. Thus, as a web designer, you can work with your work along with freelancing projects and earn more. Whatever work you do, it promotes you – a web design website and a user’s front view that makes any website interesting by its interface. Your creative work promotes you. People go to the website you designed and get credit for your creative work because most users do not have any basic knowledge of technicality. Changes are mandatory and we have to customize according to the latest trends. Choosing a career as a web designer and web developer will give you the opportunity to learn new things on a regular basis. There are many changes in web technologies for which you need to keep yourself updated. Always keep in mind the recent changes and events in the website design and development industry to shine in this area. Hello Everyone! WordPress is an open source Content Management System (CMS) that helps users create dynamic websites and blogs. WordPress is the world’s most powerful user-friendly free website creation tool (CMS) through which you can create the very best blog and website, without any technical knowledge. You can think of the popularity of WordPress that there is over 70 million internet (27% of the internet) blogs/websites that have been created using WordPress. User Management: This helps in managing user information, such as changing the user’s role, creating a user (subscriber, contributor, author, editor or administrator), to create the user, change a password, and user information. The main part of the User Manager is Authentication. Media Management: This is a tool that manages media files and folders. This allows you to easily upload, organize and manage your files on your website. Theme System: This helps in modifying the site view. It contains images, stylesheets, template files, and custom pages. Extend with Plugins: Many plugins are available which provide custom functions and features according to user’s needs. Search Engine Optimized: This provides search engine optimization (SEO) tools that make on-site SEO easy. Multilingual: It can translate all the contents of the page into any language according to the user’s instructions. Importers: This user helps in importing data for the post. It imports custom files, comments, post pages, and tags. Whenever we think of starting a blog, we become confused about lots of options, such as Blogger, WordPress, Tumblr etc. If you are building a blog, then use a professional platform like WordPress.org (self-hosted). Through WordPress theme, you can change the design of your website. Many free theme options are available in WP and many premiums too. By using it you can easily create an effective website. 2. This is an open source platform and available in free. 3. CSS files can be modified according to the needs of the user. 4. There are many plugins and templates available for free. The user can modify these plugins according to their need. 5. It’s very easy to edit the content in it because it uses the WYSIWYG editor, which means that the user will see what you type, without having to do the commands. 6. Media files are easily and quickly uploaded. 7. Customization is easy, according to user’s needs. 1. On 27th May 2003, Matt Mullenweg and Mike Little launched the first version of WordPress. 2. Added Plugin feature to May 2004, which allows users to further improve the functionality of WordPress. 3. In 2005 WordPress added the theme feature and new admin dashboard and this year the wordpress.com was launched. 4. In 2006, Matt registered a trademark for WordPress and its logo. 5. Added new user interface, autosave, and spelling checking feature to WordPress 2.1 in 2007. 6. 2008-2009 Happy Cog web design company joined the WordPress Project and created a very user-friendly admin dashboard. 7. 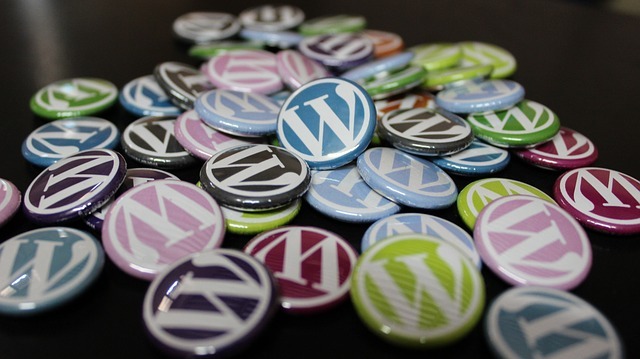 In 2010 WordPress was declared open source. 8. Added the advanced media manager and theme customizer feature in 2011-2014. 9. To make the REST API added mobile apps in 2015-2016. By using too many plugins the website can be heavy, which will cause loading slowly. To get the modification in the WordPress website, it is important to have an HTML or PHP knowledge. What is Google Analytics and how to setup? Top 15 Core PHP Interview questions and answers for freshers ? What Is Digital Marketing and How to Become a Digital Marketing Expert ? What Is Web Designing and What is process to learn?